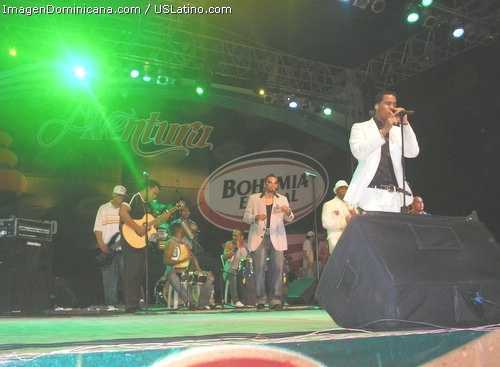 With the launch of his eighth production, Carta de Verano, he earned further acceptance both on a national and international level, and became one of the most popular Bachata singers of our country. Carta de Verano has eleven songs; Intentalo Tu is the song that is being promoted both nationally and internationally. Currently, Carta de Verano is one of the highest selling CDs under the tropical music category "bachata" and one of the highest selling bachata albums in Latin America. In 2003. Joe Veras performed at the Miss Canada Pageant in Toronto and opened the Pan American Games in Santo Domingo. He went on to win his second Casandra Award for Bachatero of the Year. He has shared his love for music and romance in the form of bachata in Belgium, Holland, Spain, Italy, Germany, Austria, Switzerland, Guadeloupe, Antigua, Tortola Island, St. Croix, St.Thomas, St. Martin, Aruba, Curacao, Martinique, Canada and the United States. Joe Veras is greatly admired and respected by his fans all over the world. He is a man with a soft voice and a unique style, a poet of grand emotion. Thanks Joe Veras "El Hombre de Tu Vida and his staff for sending us this information/Translated by Lesley D.
Bachata,or Música de Amargue/Music of Bitterness Also known as musica de guardia / soldier's music and musica baja/ lowlife. This music originally was music created by the lowest of the low adrift in Santo Domingo. It was played in the cabarets and whorehouse's of the capital where these people frequented. Its forms, instrumentation and so on are originally derived from country music, but it developed as a result of the displacement of rural people to the cities. The early Bachata -- La Sufrida, is all about this rootlessness, loss, drunkenness, whoring, etc. It was even banned from radio play because it was full of double entendre, and in general dealt with an undesirable lifestyle, so this style of music was censored. The rich, affluent, and city people would not listen to this type of music. If they did they would not admit to it. It is considered to be Dominican Blues. Most of the lyrics are about lost love and sad events. Thanks to Juan Luis Guerra who turned the music around by sweetening and polishing up the genre. Now with many of the new groups that have appeared on the scene, Aventura is the most well known, in the past few years Bachata has changed and has become more main stream. It is now more accepted by all. This style of music can be heard in most of the Colmados and streets in the entire country. It is a couples style dance where one is held close. It is an easy dance that has a classic tap of the foot action. A 4 step with the 4th being a little tap. Each person has their own little style they add to the dance move. It is an enjoyable dance and can be quite romantic. Along with the music being more accepted by all the dance has become quite popular. It is a good time to dance to even if you don't really know how. I suggest giving it a try. Aventura made Bachata main stream but sadly, Aventura broke up. the singer Anthony Santos went out on his own. But we will always remember how this band helped to make Bachata more acceptable to the masses. Aventura is Anthony Santos (lead singer and featured composer), Leny Santos (musical producer and guitarist), Max Santos (bassist and rap artist) and Henry Santos Jeter (singer and composer). There is always a chance that they will get together again at least for a show now and then. Check out all the music available from Aventura on iTunes. Joe Veras was born on May 1,1964 in Cevicos, a municipality of Cotui in the Dominican Republic. He is the fourth of thirteen children born to Mr. Soto Veras and Mrs. Maria del Carmen Batista. He involved himself in music at an early age starting in ecclesiastic choirs in his village - Cotui. He pursued a university degree in Santo Domingo, then chose to pursue an artistic career. A music project led to a contract with Darlenis Records Company. He recorded his first production, Con Amor, in 1993. His debut was well received by bachata afficionados. Joe Veras signed a contract with Hipolito Records in 1995 and recorded Con Mas Amor and Asi es la Vida. These productions spread throughout the country and internationally and won him the Casandra Award in 1997. 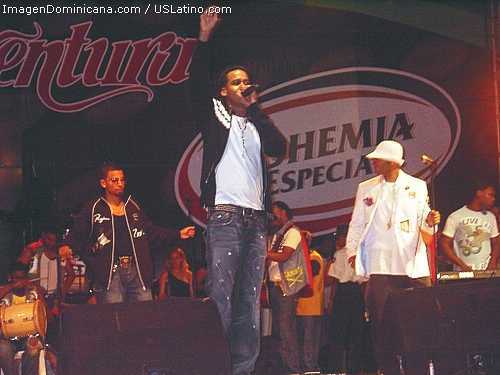 In New York he received a platinum award for selling more than 300,000 copies of Con Mas Amor. He gained further notoriety in the Dominican Republic, winning local awards called premios globos. Joe Veras then signed a contract with J&N Records and the hit song Por Tu Amor became one of the leaders in popularity followed by Carta de Verano. For over a decade, Joe Veras has exercised leadership as a composer, musical arranger and bachata artist. So far he has managed to record seven soulful productions for his fans: Con Amor, Con Mas Amor, Asi es la Vida, Aceptame como Soy, Reencuentro, Simplemente and Desde mi Alma. 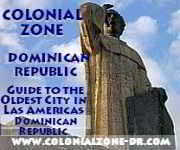 ROMAN "C" - "Dimelo Bajito"(nominated best bachata song in 2005) This video was made in Colonial Zone. Check the scenery, it is beautiful. Thank you Horacio Ontiveros (director) for telling me about this video. Antony Santos (“El Mayimbe de la Bachata”) was born in a province in the northwest of the Dominican Republic. From very young age he showed a great love for music. He was inspired by the diverse romantic singers that his parents listened to on Dominican radio. This music he listened to influenced him as a young person who dreamt about being a great artist. Antony learned to play the guitar when he was young and he played his melodies and used his romantic voice to entertain all who would listen wherever he happened to be. 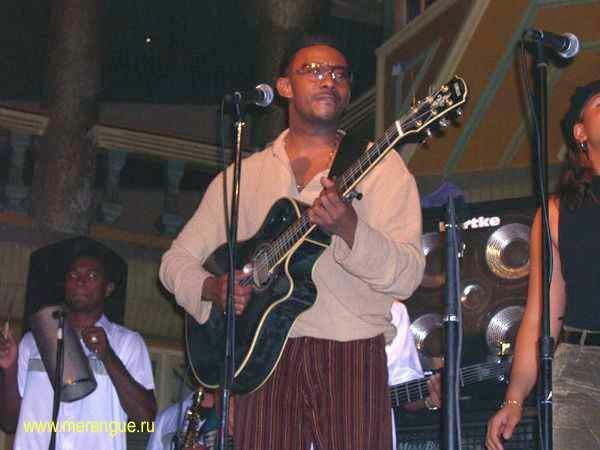 Later he decided to start a musical group that immediately became a true sensation in the Dominican Republic because of the subject of his songs. Santos writes about what he knows. His songs are his interpretation and reflections of the feelings of the men and women of the town in which he grew up in. Little by little Antony Santos came to be one of the more popular artists of Bachata. He is one of the artists with the highest record sales of the country and the most requested for presentations on the national and international level. 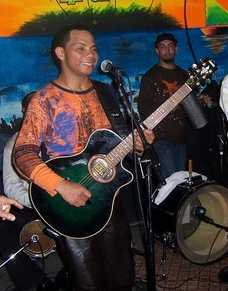 Because of his great presence and his artistic ability Antony has come to be called “El Mayimbe de la Bachata”. Antony is one of the great greats of the modern Bachata. Helping to open the doors for making Bachata become so popular Latin American.